Fat Frocks: Darling, you give love a bad name! I had such a lovely time this weekend. 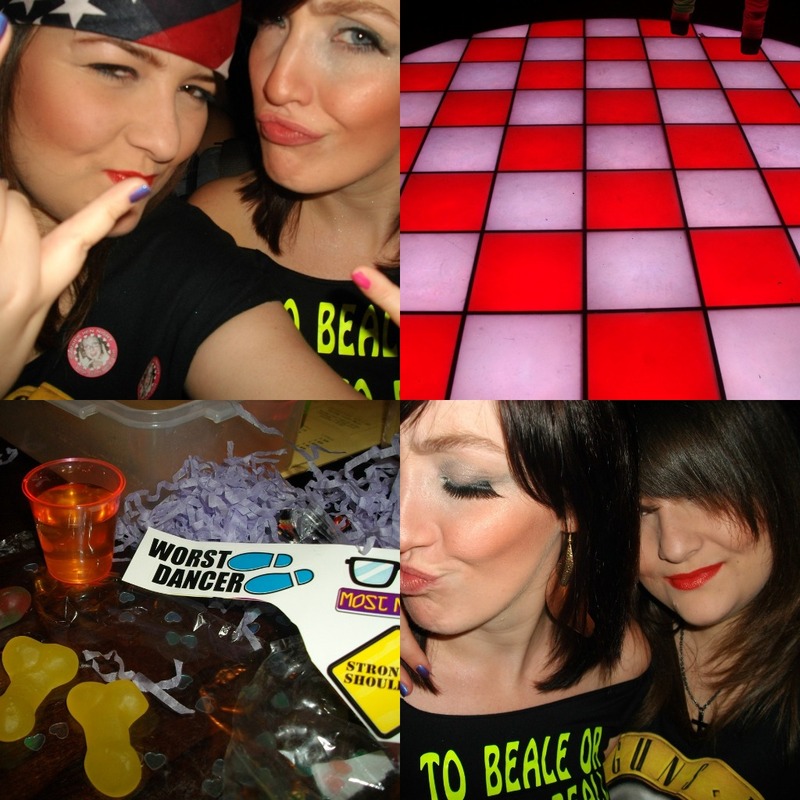 It was my friend Sarah's hen night and I really got in to the spirit of it all. I don't normally drink much and I NEVER do fancy dress but I made an exception for Sarah. We went for lunch and had cupcakes and a chat before the main festivities in the evening. The place we went to for lunch had bottomless chips, so bad when I'm trying to stick to my Where Are My Knees pledge. There was an 80's fancy dress theme in the evening but I avoided leg warmers and went for a rock look which channelled Axl Rose and but the end of the night I looked like something from Twisted Sister and got my red lipstick everywhere. As you can see I was a bit of a mess by the end of the night which I blame on the cocktails in disco balls and pitchers of Long Island iced tea. I felt gross the next day and had 150 photo that I don't remember taking so a pretty good night out! I made little party bags for all 26 girls, the 'survival kits' came in handy and I stuffed them with sweets and man rating stickers. I got everything I needed for the bags on eBay, they only cost about 80p per bag which I think is pretty good. They went down really well and a lot of the girls have kept the stickers as a keepsake. 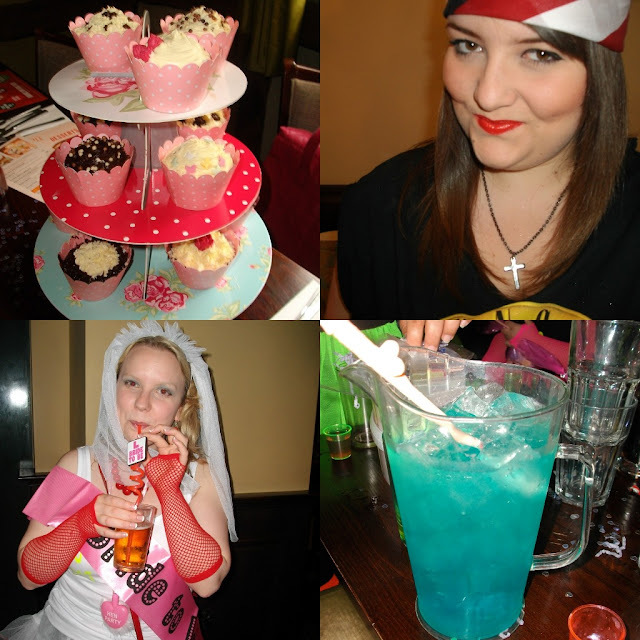 Have you got any good hen night stories? Do you dread going out in fancy dress like me? Love the red lipstick on your Gem, it looks gorgeous! Looks like you had a blast! i've never been to a hen party, but it looks like loads of fun!!! !